It’s Day 5 of DL and NVIDIA’s Two Weeks of Holiday Tegra. We have been handing out tablets all week long and here is this week’s last chance to win a Tegra 2 powered device. But don’t worry, starting next Monday we have a whole week more of tablet giveaway madness. 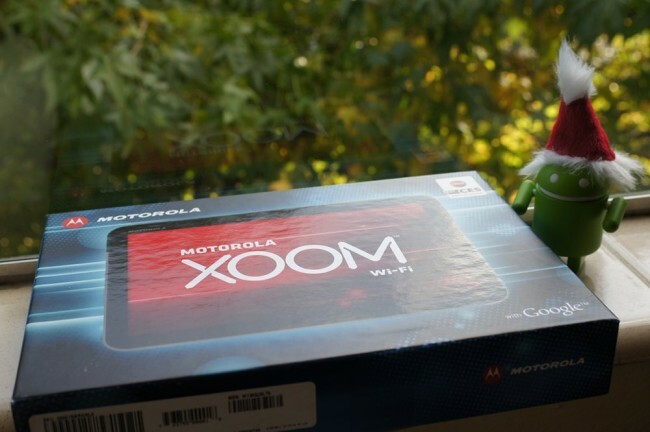 The Motorola XOOM is the first Android device to rock Google’s Honeycomb operating system. When updates roll out, this device is the first to get them. The XOOM comes loaded with 32GB of storage, a dual-core processor, and dual-cameras. With an easily unlockable bootloader and plenty of developer support, you can be sure to remain happy with the XOOM for a long time. 1 (one) Motorola WiFi XOOM. 1. In the comments, tell us one of your New Year’s resolutions.